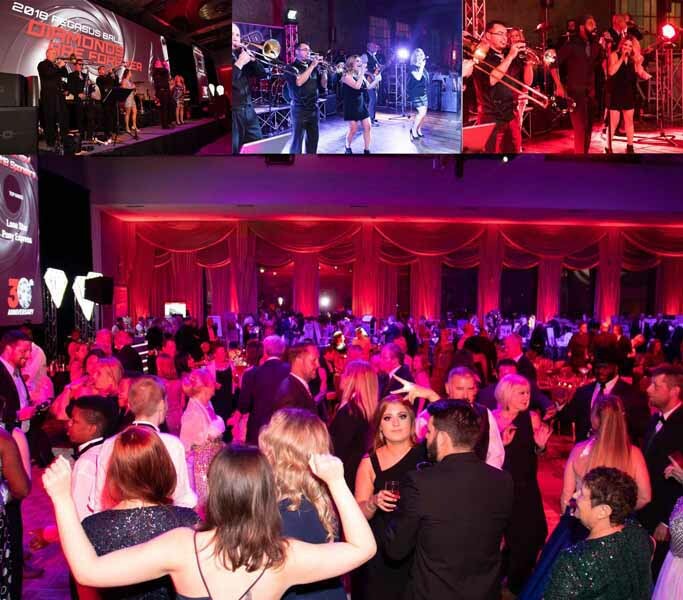 InVersion is Widely Recognized as One of the Best Party | Top 40 Cover | Wedding Bands in the North Texas Area! They say that imitation is the sincerest form of flattery and the band world is no exception. InVersion Band are masters at artist mimickery. We not only bring your favorite hits to life in a live setting, but we put our own artistic spin on your favorite cover songs. Cover bands also have to be able to navigate the fine line between playing what people want to hear, not playing the same old songs, putting a new spin on classics that audiences love, and making sure all of the material is well known to most audience members. That is exactly what InVersion Band does for your wedding, corporate, or fundraiser event. Playing a well orchestrated event that involves planners that dictate strict timelines, is complicated and demands an experienced and professional band leader, musicians and band emcees. Let InVersion Band handle that for you. Don't settle on your friend's garage band or a low energy DJ. Live music is always your best option to get the crowd moving and help make your event a complete success! When you want to keep your crowd actively dancing the whole night long call InVersion Band! Call InVersion Band today at 214-995-6175 or reach out on our contact page for a free, no hassle quote.